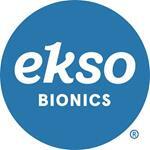 RICHMOND, Calif., Oct. 31, 2018 (GLOBE NEWSWIRE) -- Ekso Bionics Holdings, Inc. (NASDAQ: EKSO), an industry leader in exoskeleton technology for medical and industrial use, today announced that it will release financial and business results for the third quarter 2018 after the close of trading on Wednesday, November 7, 2018. Management will host a conference call beginning at 1:30 p.m. PT / 4:30 p.m. ET to discuss the financial results and recent business developments. Investors interested in listening to the conference call may do so by dialing (877) 407-3036 for domestic callers or (201) 378-4919 for international callers. A live webcast of the event will be available in the “Investors” section of the company’s website at www.eksobionics.com, or by clicking here. A replay of the call will be available for two weeks by dialing (877) 660-6853 for domestic callers or (201) 612-7415 for international callers and using Conference ID: 13581989. The webcast will also be available on the company’s website for one month following the completion of the call.